What now for oil after Saudi king's death? Oil prices were 2% higher immediately following the death of Saudi Arabia's king. Saudi Arabia is the world's largest exporter of petroleum and a key leader in the Middle East and OPEC. The market reaction was muted by widespread expectation of a smooth leadership transition. All signals indicate Saudi Arabia will stay the course on its oil production and policies. Crude oil was still trading between $46 to $47 a barrel on Friday. King Abdullah bin Abdulaziz al Saud's health had been deteriorating in recent weeks, according to the state-run Saudi Press Agency. He was king of Saudi Arabia since 2005 and celebrated his 90th birthday in August. The transfer of power should be smooth. His half-brother Prince Salman bin Abdulaziz al Saud will assume the throne, Saudi state television reported. 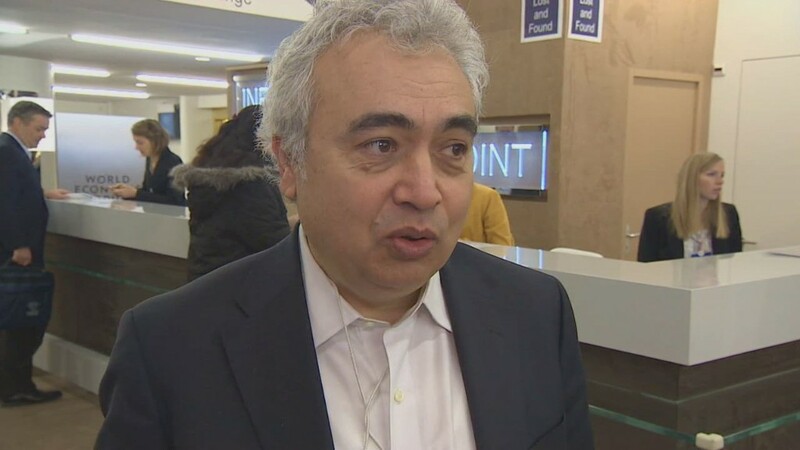 "I don't anticipate the Kingdom to make any dramatic changes in its oil policy in the short term," said Fahad Nazer, a former political analyst at the Embassy of Saudi Arabia in Washington, DC. Saudi Arabia has 16% of the world's known oil reserves, according to the U.S. Energy Information Administration. The country is widely seen as the leader of OPEC and has a large influence on energy prices and political stability in the Middle East. But oil has fallen over 50% since the summer. Crude traded over $100 as recently as July and now trades below $50. The plunge in prices accelerated after OPEC's Thanksgiving Day decision, led by Saudi Arabia, to not scale back production. Saudi officials have repeatedly said the nation will not cut oil production because they don't want to lose market share. It's unlikely that the new king will alter that stance. "Everything from the Royal Family and the Saudi Oil Minister in the last 75 days has pointed toward a policy of sustained high exports, and a high stakes game of international 'chicken' with other higher cost oil producers," said Tom Kloza, the global head of energy analysis for the Oil Price Information Service. Some experts believe the Saudis, at least to some extent, have welcomed falling oil prices as a way to slow the rise of America's shale oil production boom. 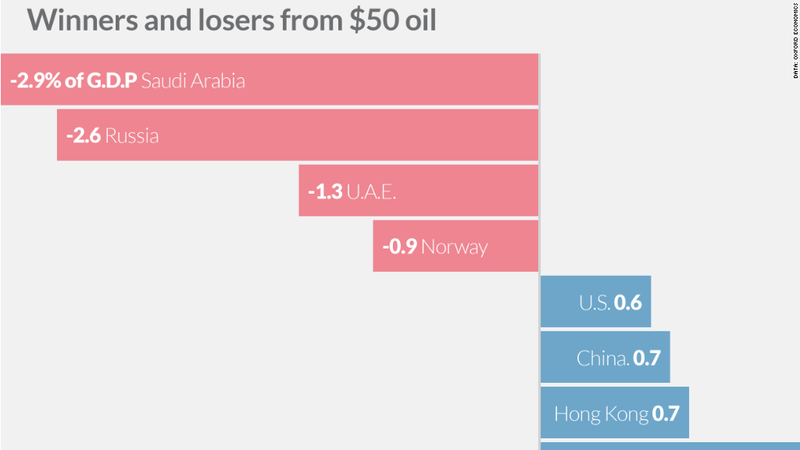 Last week Saudi Prince Alwaleed said oil will never return to $100 and that the price crash will allow Saudi Arabia to see "how many shale oil production companies run out of business." U.S. shale oil companies and related industries have already announced layoffs and cutbacks in spending. At the same time, Saudi Arabia depends heavily on oil revenues to fund its government. Oxford Economies estimates the country will have negative economic output this year if oil continues to stay at or below $50 a barrel. "We fill the pain in Saudi Arabia. Saudi's budget depends 90% on oil," Prince Alwaleed said on CNBC Friday. The United States imports about a million barrels of oil a day from Saudi Arabia. Only Canada provides more oil to the U.S. Prince Alwaleed believe the price of oil could drop even further given the economic slowdown in many parts of the world and the oversupply of oil. "There's no doubt that some countries have to blink and reduce production," he said.